Devoted to her family’s rice-cake–making business and the high school baton club, Tamako is a little slow when it comes to love. She’s oblivious to her childhood friend Mochizo’s affections, even though all their friends know. 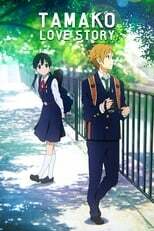 With graduation closing in and Mochizo leaving for Tokyo, will Tamako realise her feelings and tell him in time?